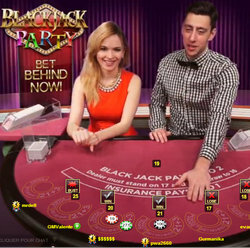 Long awaited since the launch last February of Salon Prive Blackjack and Roulette, Evolution Gaming’s Salon Prive Baccarat is now available in the Riga based developer’s partner online casinos. 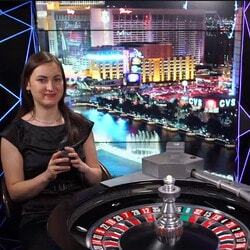 High Roller Baccarat fans can also experience the exceptional gaming experience offered in these online VIP areas. This is a summary of what is on offer with this new development. 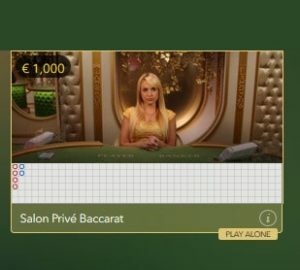 As its name clearly implies, Salon Prive Baccarat is a private Baccarat area inside which an online player is seated at a table in front of a female professional dealer. Intimacy and exclusivity are the key words linked to this type of table which is only available to one player at a time. Like in the developer’s other Salon Prives, once a player is inside, the table becomes inaccessible to any potential players and also to interested others. The games take place in a studio set up in Riga. The gaming setting is quite pleasant, decorated in the Baroque style which is reminiscent of 17th century French and Italian casinos, a main period for Baccarat. For the moment, Evolution Gaming has only one Salon Prive Baccarat table on offer. The rules are those of classic Baccarat. So a winning bet on the player’s hand pays 1:1, a winning bet on the banker’s hand pays 0.95: 1 (the house commission is applied) and a winning bet on zero pays 8:1. 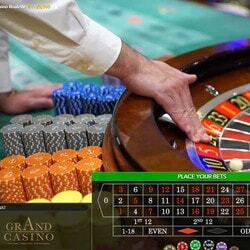 Optional bets on pairs and bonus bets are also allowed. Bets at this table start at €1 000. The limit is fixed at €15 000 but in certain casinos it can go up to €25 000. Most casinos require a player to have at least €6 000 in their account before being able to access this table. Betting a minimum of €1 000 per game gives Evolution Gaming Salon Prive Baccarat players some privileges. The first is being able to ask that the dealer hosting the game is replaced by another. If you don’t click with a dealer, you just need ask for another one. Then you decide yourself when the game will begin. Using the “New Deal” button on the interface, the game adapts to your rhythm. At any point in the game, you can ask for the cards to be shuffled. Also, like in the VIP rooms in Macau casinos, you have the possibility of asking for a “free hand”, a sort of free game as if you were testing the game. Just like in Evolution Gaming’s other Salon Prives there is a VIP manager available to players 24/7 to answer any questions. 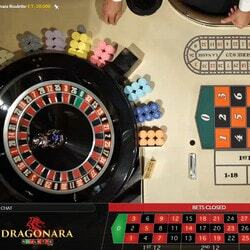 This online baccarat table for Evolution Gaming VIP players is now available in the developer’s partner online casinos such as Dublinbet, Stakes and Casino Extra. It’s open 24/7 and available on PC and mobiles.